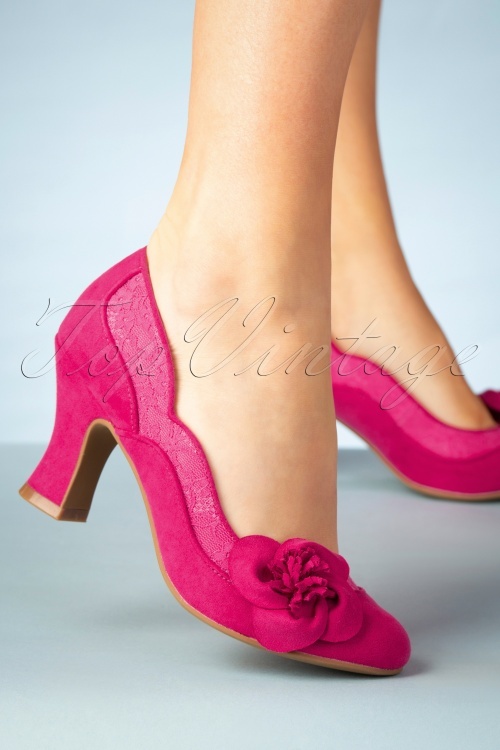 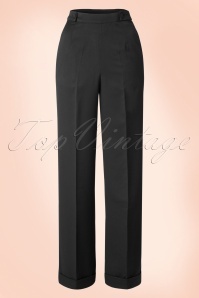 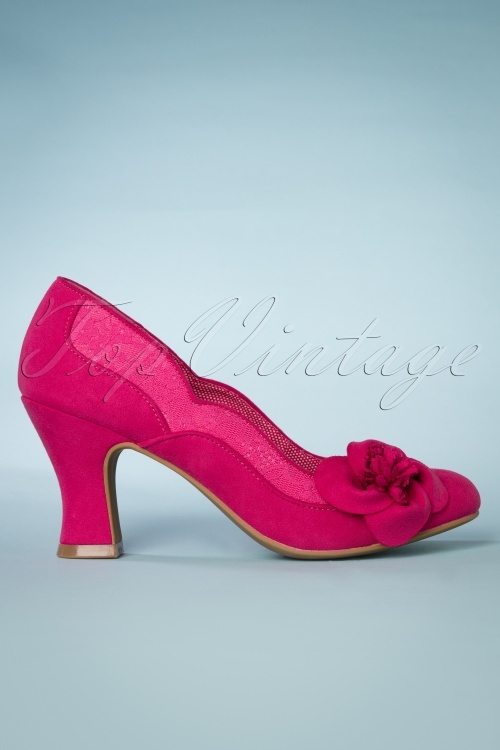 Add a splash of colour to your wardrobe with these 40s Veronica Pumps in Fuchsia! 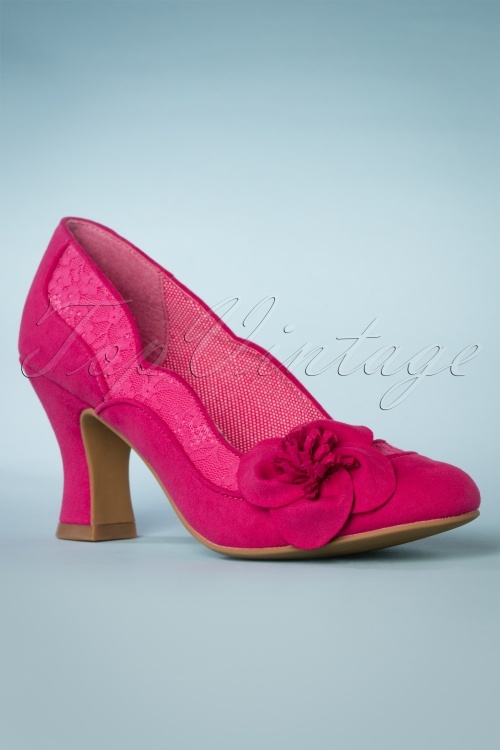 These vintage beauties are made of faux suede in fuchsia pink, finished off with a delicate overlaid lace band and a flower corsage across the vamp. 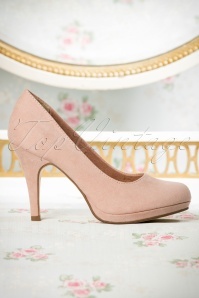 The classy yet comfy Louis style heel ensures a pleasant fit all day long. 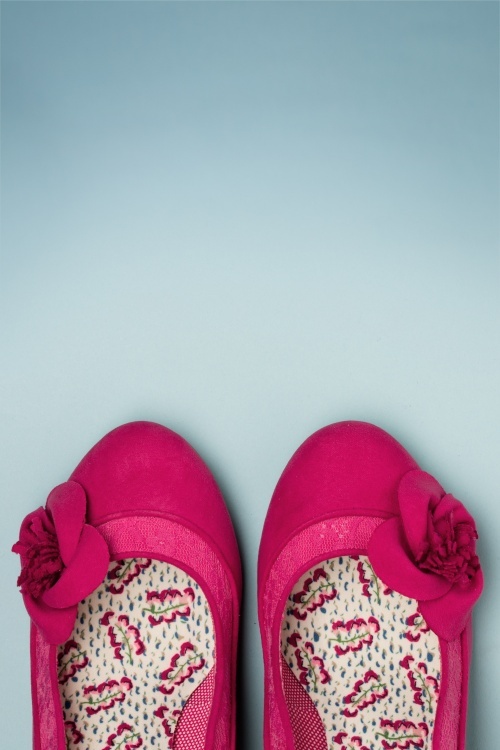 Make it pop with a little pink!